Peterhead kicked off their Betfred Cup campaign with a drab 0-0 draw away to Brechin on Saturday which saw the Blue Toon claim the bonus point after a penalty shoot out victory. It may not have been one for the spectators, but manager Jim McInally was happy to get the clean sheet against the League 1 Hedgemen. “It was a poor game and whether that was down to the hot weather or to the pitch, which was lush, the ball was slow and I wouldn’t have wanted to have paid to watch it,” said McInally. “We can play much better than that. “For most of the boys they only have a couple of friendlies under their belts and it showed but I told them Brechin are a league above us but that never really showed. “This competition really has to be treated as pre-season training for the part time clubs. “Dunfermline never played today so they will be fresh when we meet them and they will pass the ball around us but we will go and do our best and try and win. 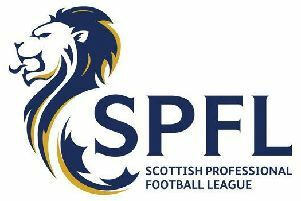 Following on from the Dunfermline game The Blue Toon will face Stirling Albion at homo this Saturday and then Premiership side Dundee at home the following Wednesday.